Public downloads of Windows 7 Beta 1 Build 7000 went live on January 10, 2009, a day later than Microsoft initially planned. “Wanted to update you on the status of the Windows 7 Beta download. The Beta download is now live,” a Microsoft spokesperson told me on Saturday. At that time the Windows 7 dedicated hotspot on Microsoft.com was finally up and running under normal parameters and was serving the Win 7 Beta bits along with product keys. Microsoft indicated that it had removed the original 2.5 million download limit, and that it would allow an unlimited number of users to access the Windows 7 Beta bits until January 24, 2009, according to Brandon LeBlanc, Windows communications manager on the Windows Client Communications Team. “I know many of you have had issues with the Windows 7 Beta site over the last 24 hours. As you may have noticed, the download site has been up and running smoothly since this morning. That said, we apologize for the inconvenience that it caused some of you,” LeBlanc stated. Users will be able to download the 32-bit (x86) version of Windows 7 Beta in English, German, Japanese, Hindi, and Arabic, and the 64-bit (x64) flavor of Windows 7 Beta in English, German, Japanese, and Arabic. Before the bits are actually offered for download, the Redmond company will provide users with the product keys for the associated operating system version. In the past weekend, a Microsoft spokesperson contacted me in order to explain that Windows 7 Beta never went live on January 9, 2009. 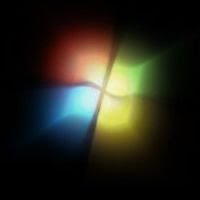 Although the bits were indeed not available on Windows 7's page at Microsoft .com, fact was that the TechNet Evaluation Center was welcoming users to the Windows 7 Beta Customer Preview Program and appeared to be serving the Beta bits, although no successful downloads were possible. At the same time, Win 7 Beta 1 could be grabbed via direct download link straight from the software giant. Microsoft felt it needed to provide clarification for my Windows 7 Beta 1 Downloads Officially Discontinued article. “Just wanted to clarify that the public Beta never went live and therefore Microsoft did not 'shut down downloads before the day ended.' Also, downloads for TechNet and MSDN subscribers are still up and functioning, and have not been effected by the public Beta download,” a Microsoft spokesperson stated, even though it was Microsoft that had informed users the company would be re-posting the Beta as soon as a quality download experience could be ensured.